Create!-ive Designing & Sewing - Create! We are very big into helping our students sew, make and create whatever it is that they want to make. There is always a starting point of a student’s vision of what she or he wants and then figuring out how to do it. Often that involves taking fabric, pattern and directions and marrying the 3 so that the garment or accessory or “stuffie” comes out the way he/she/we envisioned it. Sometimes however, a student comes to us with an idea that is more “outside the box”. Either they have a drawing they want to see come to life or the pattern they chose is clearly not adequate to the task of their vision. That’s when our creative minds start working overtime. Two projects come to mind that were in this category and interestingly, both were from advanced students who were in the same summer class. It was also the last class of the summer, so we were scrambling to try to get these projects done and done right under a serious deadline. 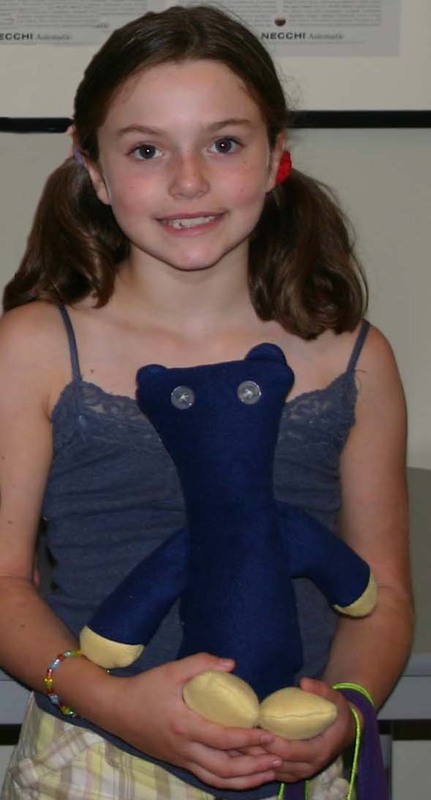 They were also both projects involving stuffed animals, which if you have never made one before, can be very challenging since you are working in 3-D and it has to work as a sort of sculptural object as well as a sewing project. 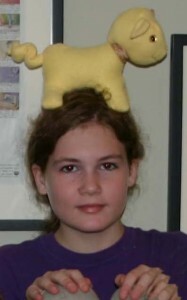 One project was a stuffed cat that had to have very distinct properties. The first of which, since the student is a true cat lover was that it look “real” in it’s stance, with legs that actually were separate and helped it stand, not a 2-dimensional curled up flat “idea” of a cat. 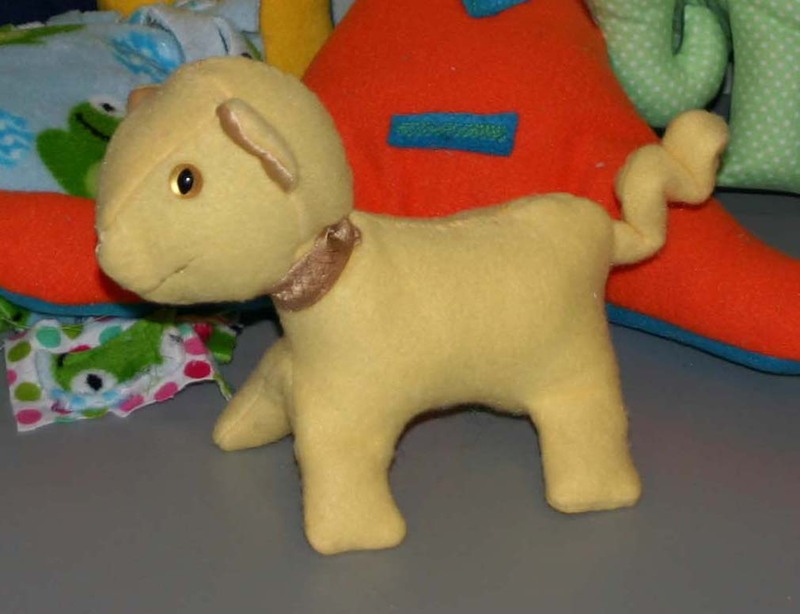 It also needed to be relatively easy to make since she wants to make several stuffed cats, each one slightly different. The other project was a stuffed bear, but not just any stuffed bear. This was “Mr. 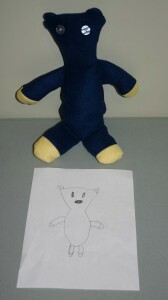 Bean’s bear” made to resemble the bear from the the Mr. Bean movies. It had to look a certain way (skinny and somewhat gawkish, like Mr. Bean) and have 2-toned paws. We had a limited amount of time and two very picky “sewing artists” plus two sewing instructors who wanted these kids to get what they wanted and not be disappointed. Here are the pictures of the finished projects. How did we do?